Anyway, reading Jonathan Raban „GIPSY MOTH Circles the World“ did replace some oft he grief I feel with joy, and that´s something I am thankful for right now. I bought this book in a used version, as ever, re-printed in 2001. The story, however, is more than 50 years old as it takes place in 1967. Still war torn and bereaved it´s imperial glory, Great Britain desperately searched for another hero. Somebody to look up to, somebody who could bring back just a little glimpse of the past times. Francis Chichester was the man who provided for all this – although he himself was too modest to ever act out on this fact. 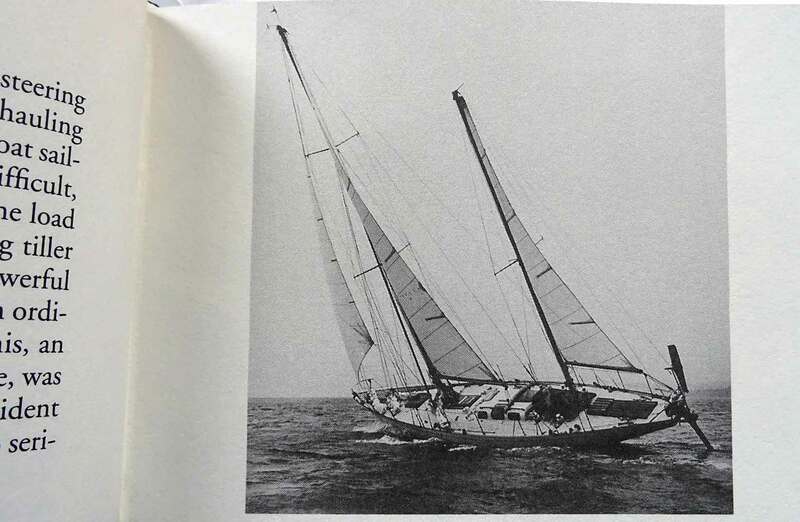 He set sails in his special purpose built GIPSY MOTH IV in 1967 to sail single handed around the world. This has been done many times before him, even in smaller vessels – like Joshua Slocum did on his memorable journey – but no one ever did it like Chichester planned: In just two legs with a short stopover in Australia, all along the old Clipper ship routes. So we come aboard his GIPSY MOTH and sail with him. His writing style is very fresh, with good chunks of British humor and sometimes contemplative sections, but never boring nor homogenous. One day Francis will explain all of the dozen possible configurations oft he sails on the two masts of his yacht, the other day he will take us to tour his boat in search for culinary highlights. Reading Chichester is a pleasure, especially because he remains a normal person. No exaggeration, no unnecessary burlesque and this special spice of British humor. There are so many in this book, as one may anticipate: Going more than 25.000 miles around the world will accumulate a whole lot of stories and anecdotes. What I found most exciting was Francis Chichester´s own expectation oft he Horn. 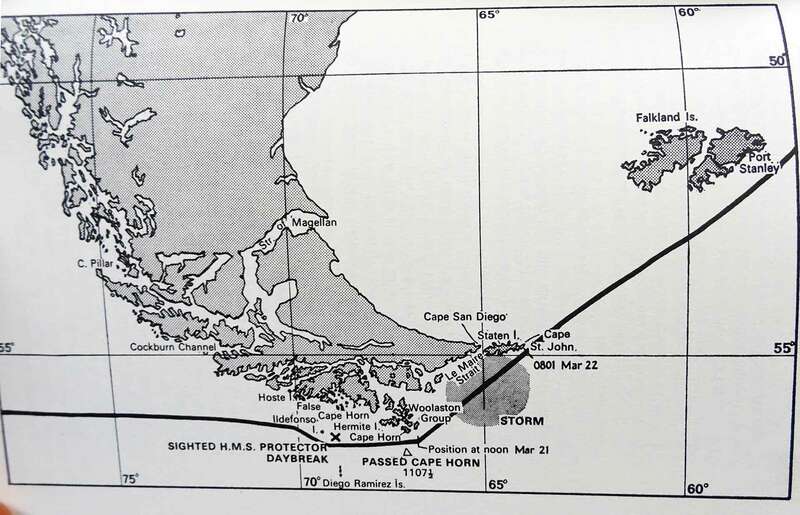 Cape Horn was and will be for all times the most attractivem, feared and love-hated spot on Earth. And his expectancy of huge waves, hellish winds and murderous currents startes right at day one as he left England. He seems to downplay all of his adventures prior rounding the Horn. Just tob e rewarded so much for his endurance when he finally reached it. Another thing that was really taking my imagination was his health. 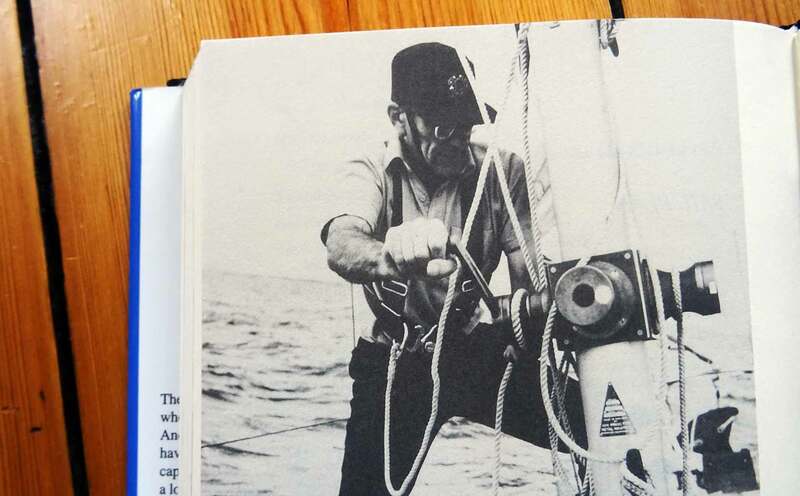 Chichester celebrated his 65th birthday aboard, so even back in 1967 he was an old man in comparison to the huge task ahead. And indeed, he was plagued with a lot of smaller and a handful bigger health problems all over the journey. Cramps, acid burns, bruises, a bone-splint and a handful bad falls – cumulating to a severe ulcer upon arrival. He writes about all this with a certain distance, but one can actually feel the huge pain he must have had. What I love about this Book. And what not. I love how he writes about GIPSY MOTH: A boat, that was built to his wishes but in the end the designers persuaded him to agree to a lot of changes which made it a very different boat. Too large, too heavy, too much sail area. Excessive heeling, an ever-jamming self steering system, bad leaking and awful sailing characteristics. But somehow he masters his boat and finally crows over the beast. Short encounter: Sir Francis speaks to another ship. There is virtually nothing I particularly disliked about the book. Of course, it is an historic document and must be read in historical context: It oozes British pride and imperial reminiscence. But that´s the way it was and this is the reason why this is a book that no sailor´s bookshelf should be missing. 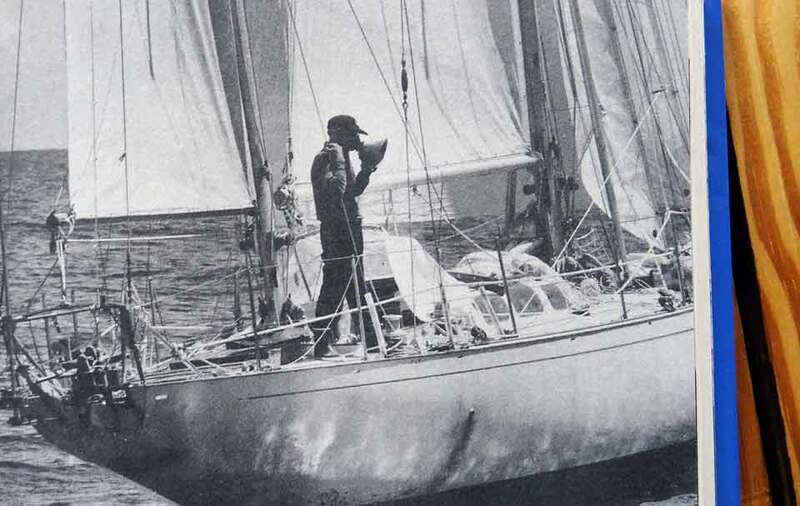 „The Strange Voyage of Donald Crowhurst“ – a MUST read!